Delhi Capitals face a tough challenge as KKR eye a winning hat-trick, will Delhi save the fort and deny a hat-trick to KKR? 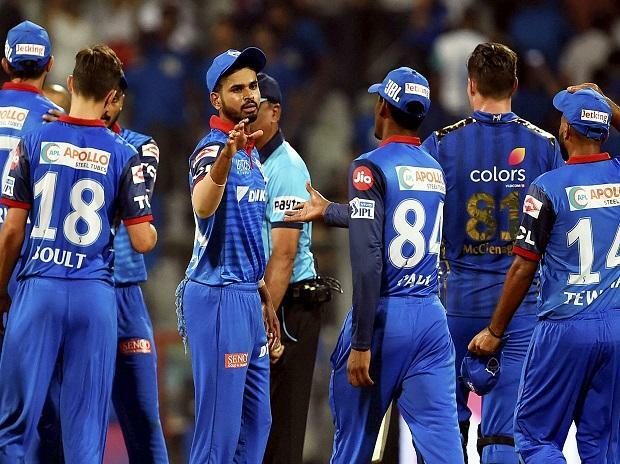 In the 10th match of VIVO IPL 2019 (IPL 2019), Delhi Capitals will host Kolkata Knight Riders as they look to improve their home ground advantage at the Ferozeshah Kotla in Delhi on Saturday. Under the leadership of young captain Shreyas Iyer, Delhi started their IPL 2019 campaign on a winning note by defeating the mighty Mumbai Indians at the Wankhede stadium but they lost their second match against M S Dhoni-led Chennai Super Kings on a slow pitch at Feroze Shah Kotla. Delhi Capitals face a tough challenge as KKR eye a winning hat-trick, will Delhi save the fort and deny a hat-trick to KKR? it'd be too early to say anything on that. It is certain that the pitch is going to favour spinners and both sides would be ready with their tactics. DC vs KKR match live streaming will be available live on Star Sports 1 HD, Star Sports 1 in English Commentary and Star Gold in Hindi Commentary. One can also live stream the KXIP vs MI match on Hotstar app and website. Delhi Capitals Squad: Shreyas Iyer (Captain), Rishabh Pant (wicketkeeper), Prithvi Shaw, Amit Mishra, Avesh Khan, Harshal Patel, Rahul Tewatia, Jayant Yadav, Manjot Kalra, Colin Munro, Chris Morris, Kagiso Rabada, Sandeep Lamichhane, Trent Boult, Shikhar Dhawan, Hanuma Vihari, Axar Patel, Ishant Sharma, Ankush Bains, Nathu Singh, Colin Ingram, Sherfane Rutherford, Keemo Paul, Jalaj Saxena, Bandaru Ayyappa.